Welcome to WellHab Movement Specialists. 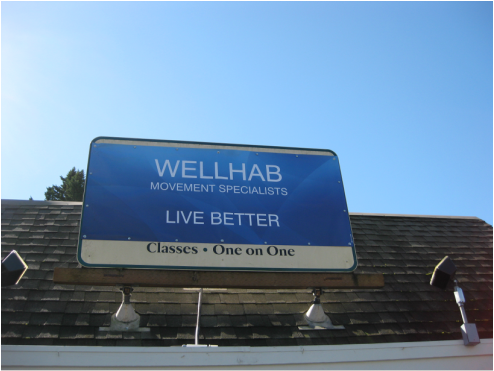 At WellHab, we are proud of our therapists and the services we are able to provide to our clients. We are excited to combine the perfect balance of compassionate care, mind-body connection, one on one practitioner-client ratios, thorough Physical Therapy or Pilates examinations, and keen observation and communication skills. We use a variety of traditional and non-traditional Physical Therapy and Pilates interventions for acute, sub acute, post surgical, sports injuries, and chronic conditions. We now provide fitness, prevention, wellness, and "pre-habilitation" services to assist each of our clients to "LIVE BETTER" no matter what their goals may be. Our interventions are meant to identify musculoskeletal imbalance and habitual, neurological patterns to allow the body to once again move through space with ease and maximal efficiency. It is our belief that the human body is the perfect body to take us through this life in all of its shapes and adaptations. However, pain is inevitable and suffering is optional. It is our honor for you to allow us to help re-create your body's balance, whatever your lifestyle, fitness or goals may be. DIRECT ACCESS TO OUR SPECIALIST! CLASSES NOW AT COASTLINE PILATES! CONVENIENT! Book and prepay for bulk Pilates Classes and Body Rolling right from your computer! Just contact Coastline Pilates online and you'll already start feeling better!